Click here to join the challenge and be assigned to a team. Pre-registration is going on right now! If you don't already have an account, you can sign up on this page as well. 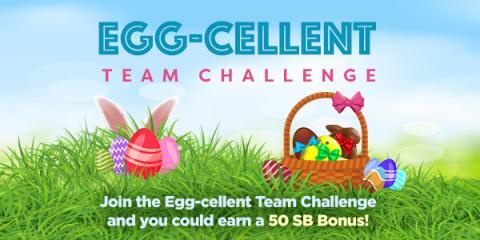 Starting April 17th at 8am PDT, in addition to earning SB you'll contribute points to your teams total as you complete different activities on Swagbucks.